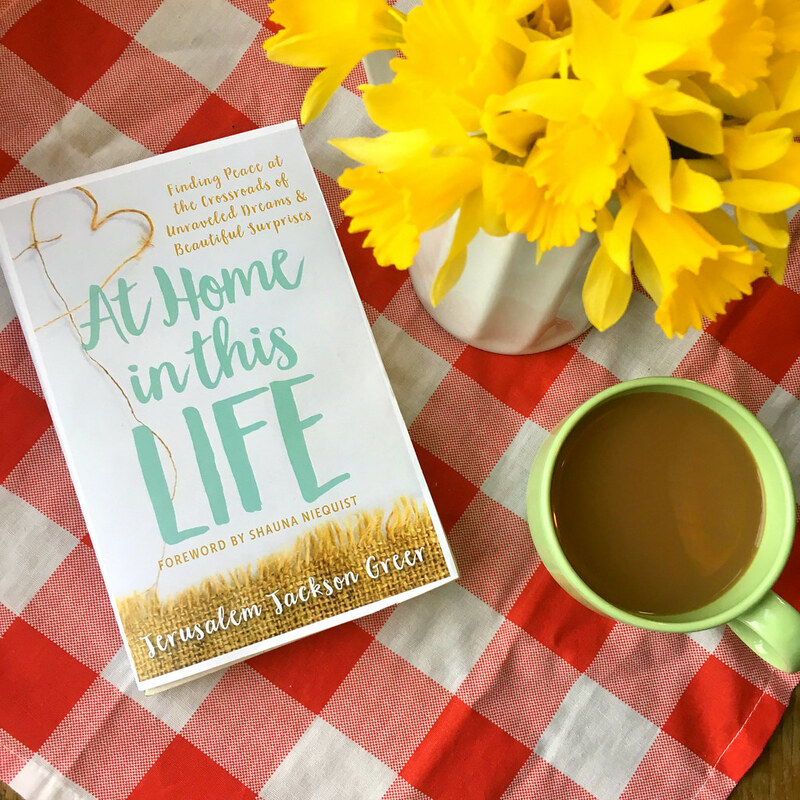 Today is a big day for Jerusalem Greer, because her new book, At Home in This Life: Finding Peace at the Crossroads of Unraveled Dreams and Beautiful Surprises, officially releases. I met Jerusalem in December, after enjoying her first book, A Homemade Life: The Blessings of Cooking, Crafting, and Coming Together. Soon after we met, she invited me to design some embroidery patterns that would be part of her At Home in This Life Curated Collection. Naturally, I said yes! There are so many talented creators who contributed to the collection and I was honored to be part of this. 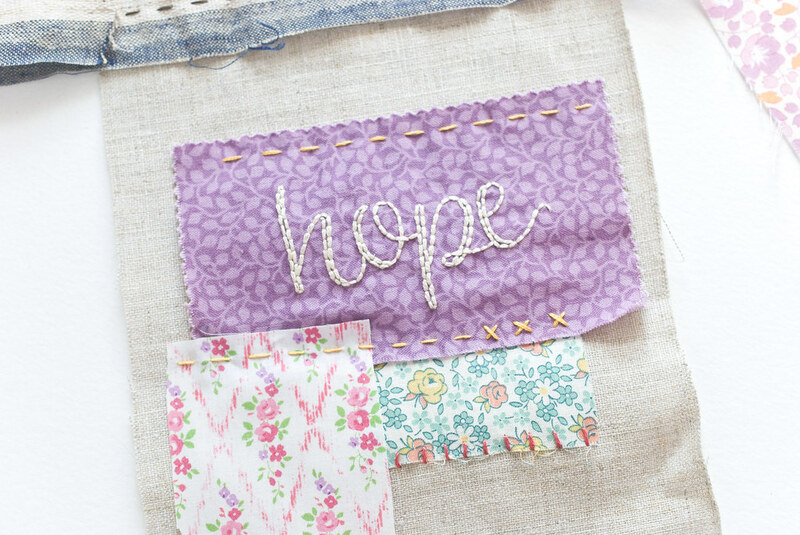 Next I designed a collection of Prayer & Encouragement Word patterns. 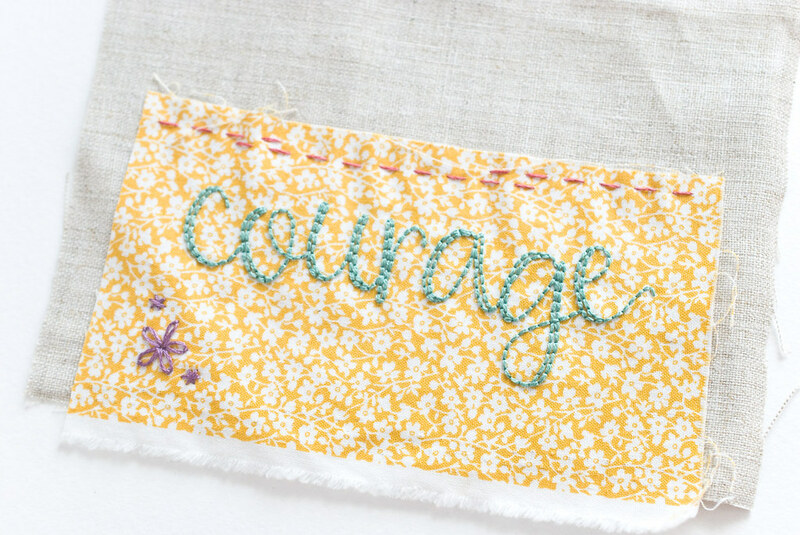 There are seven words, each in two styles and sizes, and they are perfect for using with the prayer flag project in Jerusalem's book. 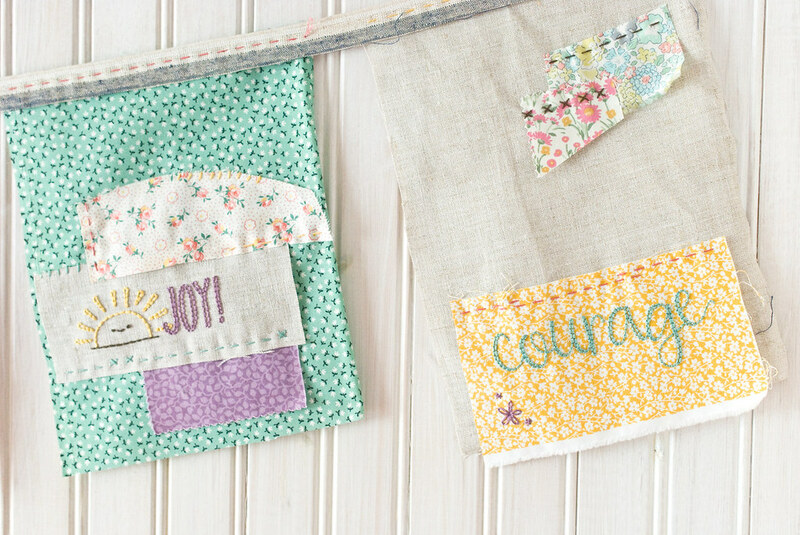 One set of the words have my Wild Olive happy objects with them and the other set is a scripty, hand-lettered style. 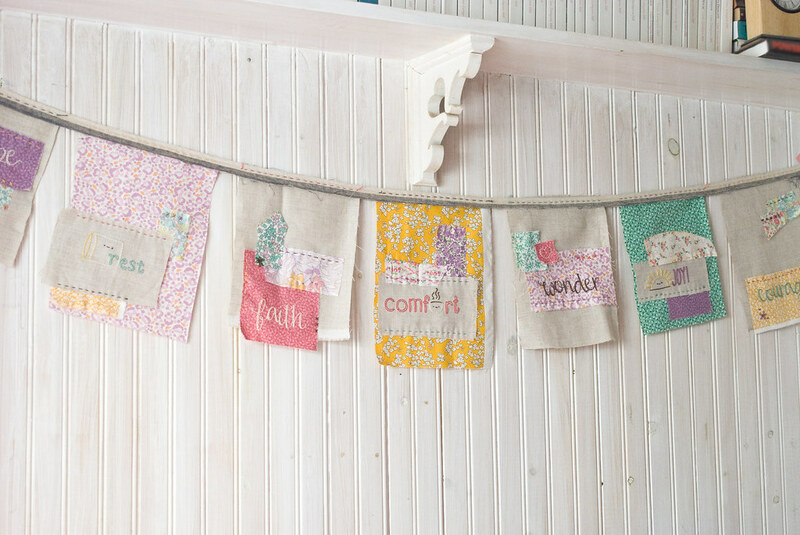 When I made my set of prayer flags, I used a combination of the word styles, and mixed and matched bits of new and vintage florals, linen, and precious pieces of Liberty fabric. Making this was a delight, and they now hang over my bed (in the place where a different Jerusalem Greer garland hung at Christmas time!). 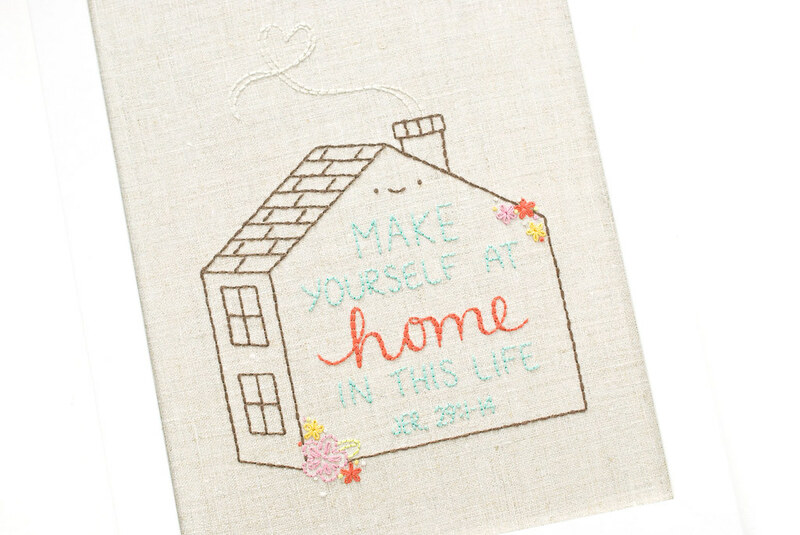 Of course, these words can be embroidered on lots of things for many reasons. 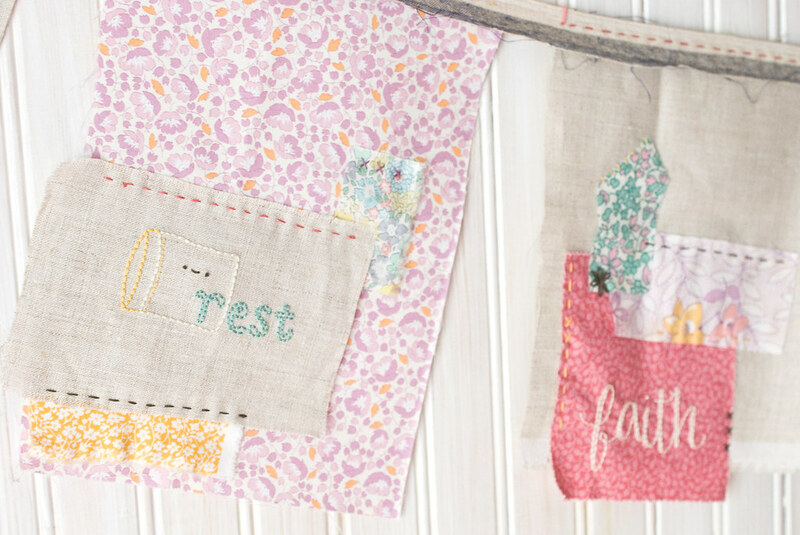 They'd make beautiful pillows, quilts, cards, and more. 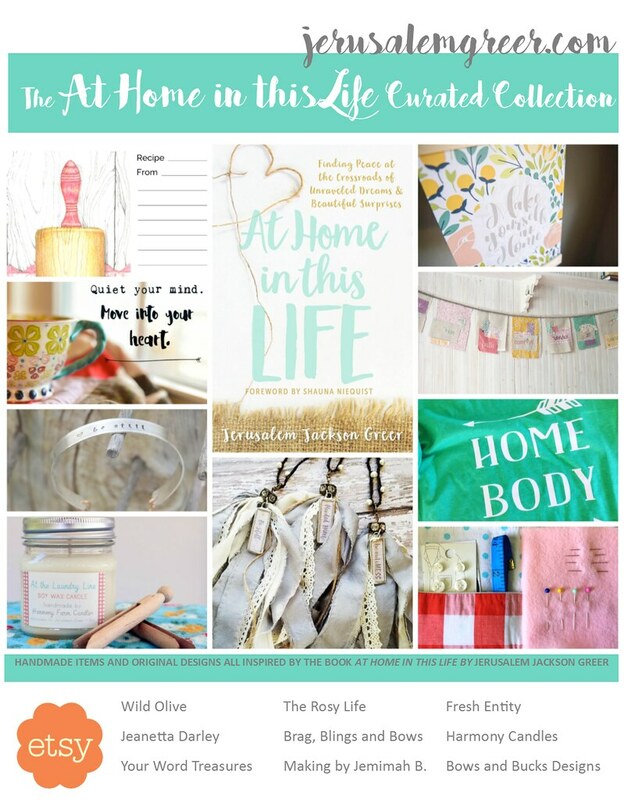 To see the entire At Home in This Life Curated Collection, visit JerusalemGreer.com. 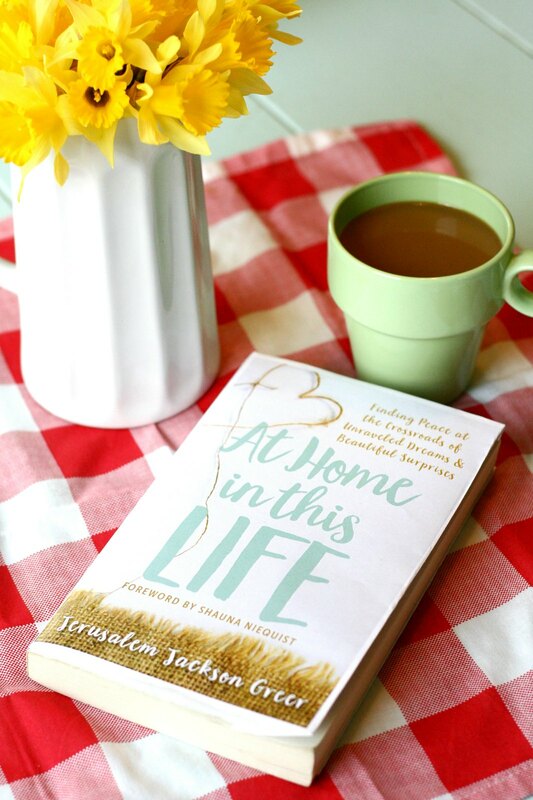 You can also order an autographed copy of At Home in This Life at her site or in my Etsy Shop. Congratulations, Jerusalem and thank you so much for inviting me to create patterns for making us all at home! 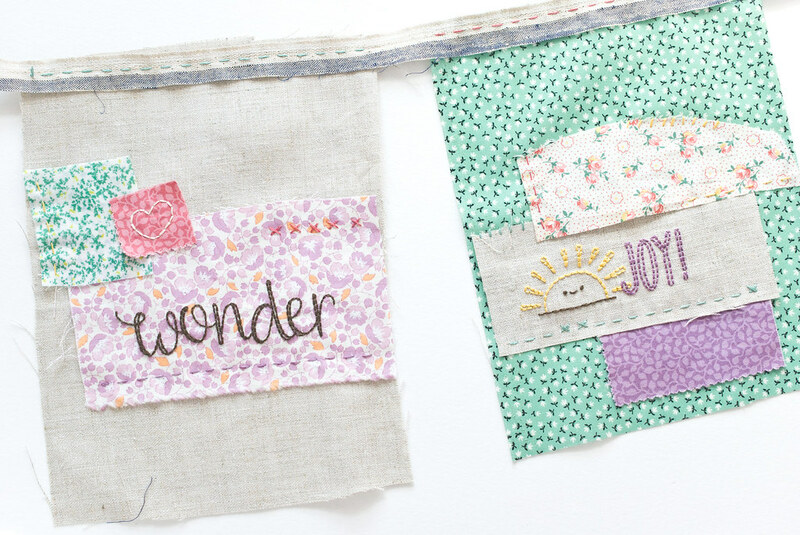 Your prayer flags are precious. I will be retiring in July and plan to start creating things that I've never taken the time for. I did quilting for a while and then had to quit over the expense of it. But making the sweet things that you make are my inspiration. Thank you. So sweet! I so enjoy your patterns! Thank you for sharing!